Myriads of technology trends are being applied in the mobile application development area for enhancing the capabilities and functionality of the apps in order to make them competent enough to sustain in increasing competition. AR is one of these technologies that have a big contribution to the app development advancement. The best part of AR is you can also experience the technology simply on your smartphone, devoid of any extra hardware or equipment. When it comes to the business sector, AR apps prove to be highly beneficial. Some of the tops augmented reality apps are having a good impact on the market, helping businesses to serve a new-fangled experience for the customers and thereby opening ways for business expansion. 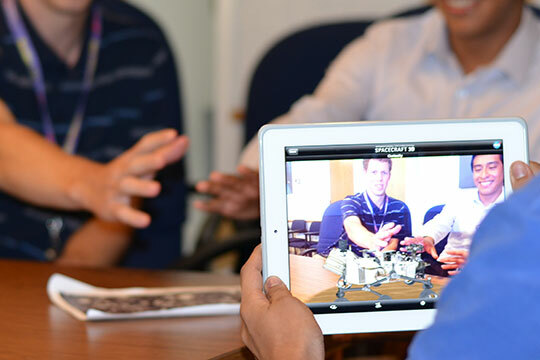 By making an augmented reality app you are not only providing an innovative tool but also rising opportunities for business exposure and development. Here we are depicting some essential points regarding AR app development, to enlighten you with the effectiveness and ways of creating an AR app. Recommended for you: How Virtual and Augmented Reality will Change the Way We Shop (Infographic). Why Should You Opt For Augmented Reality App Development? An augmented reality app will represent your business services or product in an entertaining and interactive approach and thereby engage customers with your services and business for a long time. The increased user engagement ultimately augments the sales. AR app also acts as the best marketing tool for your business. It provides a new-fangled experience to your customers. They will tend to share this amazing experience with others; indirectly spreading a word about your business product or services. 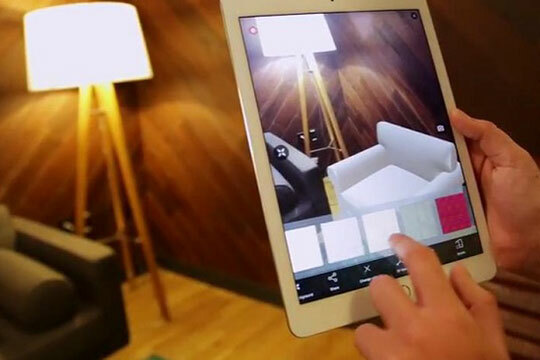 Serving better and innovative customer experience with AR app will lead to establishing an enhanced image of your business as the customer’s perception towards your business will be changed. By providing your service or products in an exclusive manner you will appear unique in an enormous crowd and this will also empower your business to survive in the competition. Offering your services or products with augmented reality app will aid you to converse more and more about your business producing greater authority and visibility for your brand. These category apps are essentially based on image recognition. They make use of a camera in a portable device to identify some markers or patterns, like images or QR codes. After recognizing the pattern, the app superimposes digital information on the marker. The orientation of an AR object relies on the position of the marker. Most of the superior AR SDKs support 3D markers recognition. Unlike marker based apps, the location-based app doesn’t require markers; rather this kind of apps uses GPS technology and other location trackers like digital compasses and accelerometers to set your location and build AR objects. For example, a location-based AR app can direct you to find your parked car in a huge parking lot. How Can You Create Augmented Reality App? For making an outstanding and robust AR app, there are certain tools that will help you out to better achieve your goals and produce precise outcomes. 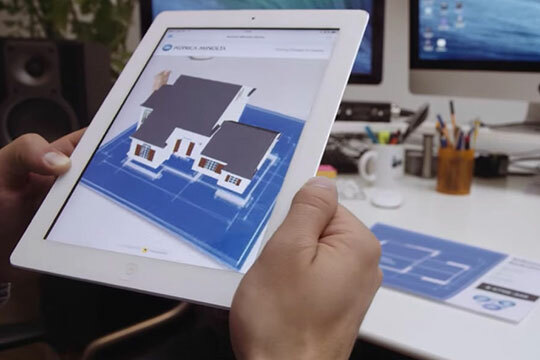 Vuforia: With Vuforia you can build all sorts of augmented reality applications. It is a complete tool for augmented reality app development. Vuforia has an aptitude to recognize both texts and images or objects in both two as well as three dimensions. It also enables you to add virtual buttons. Total Immersion: Total Immersion is one of the powerful tools for creating augmented reality apps. It facilitates making AR applications for a range of operating systems. It is mainly focused on the use of augmented reality for sales and marketing. Aurasma: Aurasma is one of the well-known tools in the app market. It lets you generate compound interactive experiences as the virtual layer can enclose a number of actions. This means you are allowed to display a 3D image and a video at the same time. Hoppala: Hoppala is mainly focused on the generating geolocated augmented reality content. It is an ideal for establishments or museums that need to demonstrate particular stuff of interest and information regarding it. ARTool Kit: ARTool Kit is the most popular augmented reality app development tool which is freely available. With this, you can build the best augmented reality apps for Smartphones. It is perfect to get started in with AR. You may also like: Chatbots in Digital Marketing – How Marketers Can Benefit from it. Check out how different brands have adopted augmented reality app development for their business services and products. Dulux Visualizer: Dulux has introduced an AR app that allows the user to look at their Smartphone camera and modify the colors of their walls in order to make a proper color choice. 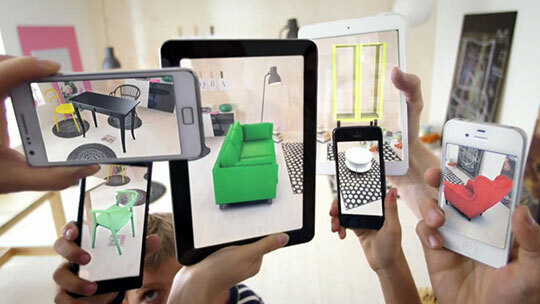 IKEA’s Catalog app: IKEA a renowned furniture brand has built an app with AR functionality that enables user try out virtual furniture items in their home in real-time. Sun Seeker: Sun Seeker is an outstanding AR app, developed with the intent of providing a 3D view of the solar path with detailed information. The 3D augmented reality camera superimpose view shows the sun’s present position and its path along with marked hour points and more. When you start exploring the app store, you will come across a number of interesting and best-augmented reality apps developed for varying purposes. The credit for the increasing number of AR apps surely goes to the exceptional potential of AR technology. Businesses especially have numerous opportunities to embrace AR app development and its vast benefits. Do you want to create augmented reality app for your business? Discuss your requirement with our AR app specialists to acquire top AR app development solutions. This article is written by Anchal Malik. She works at Excellent WebWorld as a Creative Content Writer and looks after content marketing. Always smiling and keen to learn new things. A fitness freak with a foodie attribute, with a keen interest in Latest eCommerce Solutions, AR, VR and Internet of Things Solutions.